• First - you imitate running/galloping motion on your “fours” with both arms and legs moving simultaneously towards each other, thus you stretch and bend your backbone in the vertical plane. • Second - you imitate walking motion with alternate arm and legs moving, and bend your backbone left and right in the horizontal plane. (Please see video clips at www.freespine.com). Just 5-10 minutes of such exercising with the Freespine twice a day provides an active rejuvenation of your spinal column, strengthens your lower back performance and effectively prevents lower back pain, strengthens the vestibular apparatus and enhance spatial awareness and sense of balance. Free your Spine, get your lower back pain free. When they don;t readily post the price its too expensive. This machine seems awesome. I hope you havent made the price too expensive, because I know alot of people who have lower and upper back pain and could really use the relief that this machine seems to provide. 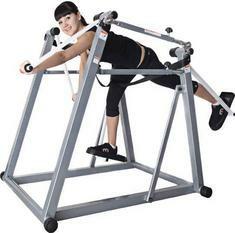 Of course, if you were an obese person with back pain, this invention wouldn't be for you. But that's not a big deal because alot of obese people can't use excerising equipment (although if your product became a huge success, it might be smart to make freespin fitness machine for those of us who are on the larger side). If I were a person in the gym, i might be a little shy to use this. The people in the freespin video look really silly doing the two exercises shown(haha!) 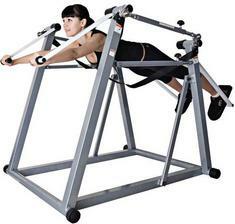 , but I would definetly consider buying this to workout at home. From a young customer to an aspiring inventist, all I have to say is good job! 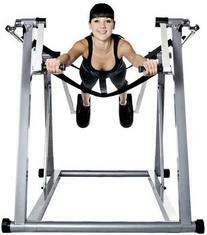 It is not too expensive, taking in account a list of benefits of the FreeSpine fitness machine and free delivery to the USA. Contact freespine.com for details. Are You Stuck In The Grass is Greener Mode? Road Show returns to ghost town. Ads from advertisers that take advantage of inventors may appear on our pages. We have a difficult time blocking them all. Many of our advertisers provide valuable services. But be careful! Before using any invention service provider, do your research and make sure you are really getting what you need. Start your research by reviewing Invention Cons, Scams and Other Problems .